OMG Posters! » Archive Soundgarden Poster by Shawn K. Knight (Onsale Info) - OMG Posters! 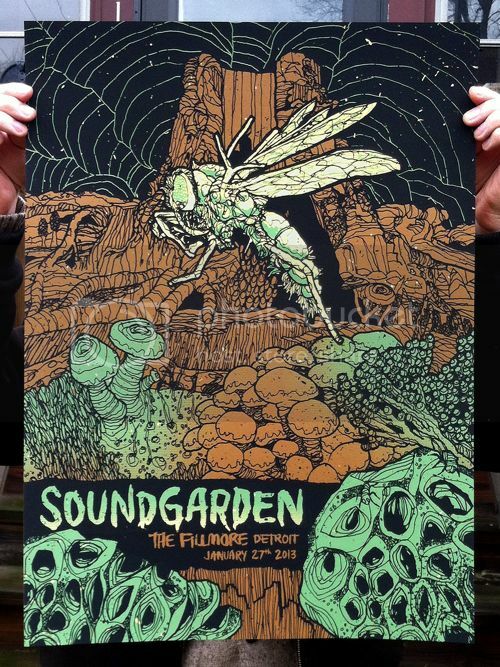 Shawn Knight will release this crazy new poster for Soundgarden tomorrow. 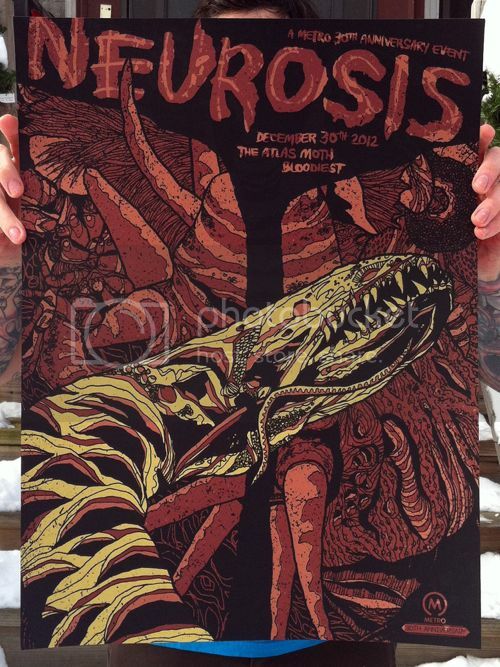 It’s an 18″ x 24″ screenprint, has an edition of 209 (much less online), and will cost $25. It goes up tomorrow (Friday, February 1st) at 9am Eastern Time. Visit his shop. If you don’t want to wait around, buy some of Shawn’s other recent stuff, it’s all been mind-blowing. Everything is screenprinted, limited, and very affordable. Visit his shop. This guy is good. Nicely done. I’m not sure I like the full bleeds, though. Visually, they’re great – but for practical reasons, I prefer a little extra room. Framing and whatnot. What happened to his Man with the Iron fist poster? I never saw a release but did see a picture posted online. Man his stuff is beautiful. Damn, the full bleeds really make these. 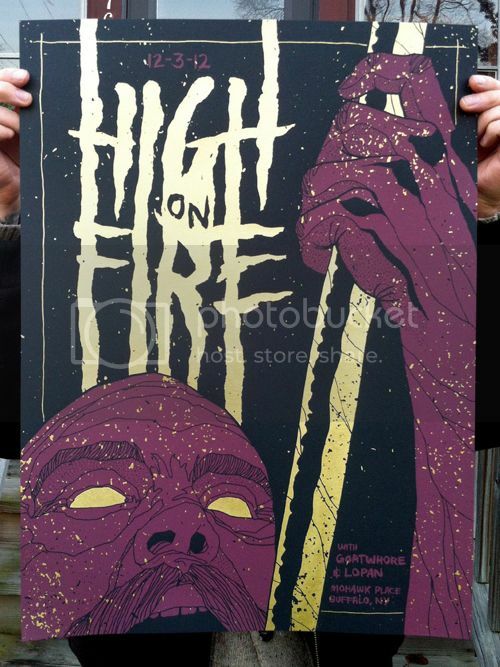 LOVE the High on Fire poster! The Neurosis one rules, too. Hey…we just saw Soundgargen in Seattle on February 8th. If u can get a poster from that show, please let me know. Thanks.